We believe there’s so much more to trekking Nepal than you might think. At Nepalorama, we share a deep passion for the Himalaya and all that this awe-inspiring region has to offer. Opportunities up for grabs stretch way beyond the promise of a great adventure holiday. Why not trek to change and discover a fresh outlook on life? Once you find your trekking rhythm, and we promise that you will! Tap into something extraordinary. There’s a unique and powerful feeling in the Himalaya. Experience an overwhelming sense of connection with nature that invokes deep self-reflection. Contemplate your life, your values, your vision and test whether or not you’re following your true path. When you see how people live in Nepal, you can’t help feeling fortunate and extremely grateful for all you have. If you’re seeking perspective and want to figure out what’s important in life, there’s no better place than Nepal. 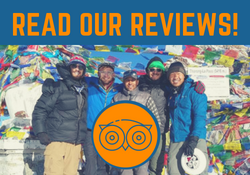 We can’t influence your internal experience when you trek Nepal, but we can set you up for success! We want you to invest yourself in this trip. By choosing your itinerary, dates and travel preference, you get to trek and spend your time how you want! The more your trip works for you, the more likely you’ll be to have the most enriching personal experience. Get in touch with us and let us help you plan a trip that could change your life!